See the shows and street style of Milan Fashion Week through the masterful photographic lens of Joshua Woods. Keep reading for the full gallery—including an up-close look at collections from Belstaff and DSquared2—see Josh’s London journal here, and watch for his dispatch from Paris coming soon. Neil Barrett is available at selected stores. Call a Designer Specialist at 1.877.543.7463 for more information. 1. We launched a new online destination this week for The Rail—which is a men’s department in our stores, yes, but also an amalgamation of the clothes, ideas and events we find interesting at any given moment. CHECK OUT THE RAIL—bookmark it, live it, love it, etc. 2. For said Rail launch, we shot a ton of images in the nooks and crannies of Brooklyn a few weeks ago, with modern-day Renaissance men like model/artist/on-screen personality Ivan Olita (above, in sunglasses). Take in large amounts of inspiration at Ivan’s webstite. And play with his face here—if you’re into that kind of thing. 4. On the subject of V Magazine: Seen this video teaser of their Kate Moss x Rihanna article yet? Now you have. Happy Friday. Extraterrestrial substances. Hinged exoskeletons. A mad scientist’s lab. The out-there allegories that runway critics dreamt up to describe the Z Zegna Autumn/Winter 2013 men’s collection are highly imaginative—and quite fitting. The brand (a forward-thinking offshoot of 100-year-old fabric artisans and menswear masters Ermenegildo Zegna) has tactile experimentation woven into its DNA. What makes Z Zegna’s vision of next season all the more intriguing, though, is a fusion of outer limits with earthly antiquity, as innovative fabric concoctions and construction techniques are grounded by inspirations randging from 17th-century masterpieces to harsh Alpine landscapes. Z Zegna’s Creative Director, Mr. Paul Surridge, was kind enough to speak with us in the days following the brand’s recent runway presentation in Milan. Read on to learn how space-age alpaca, nomadic pilgrims, and the Mayan calendar played into one of FW13’s most striking collections. MEN’S SHOP DAILY: The collection is titled The Urban Wanderer Meets the Great Outdoors. What outdoor locales inspire you the most? Would you say this is clothing for the end of the world? The Road is fiction—at least for now. How do you bring things back to reality? “We looked at traditional hiking and rambling wear—things that people wore to be comfortable while being active. When you’re dressed to perform, to do something, it’s functional and practical. It’s no longer about fashion, it’s about necessity, and it’s about the production of the garment. 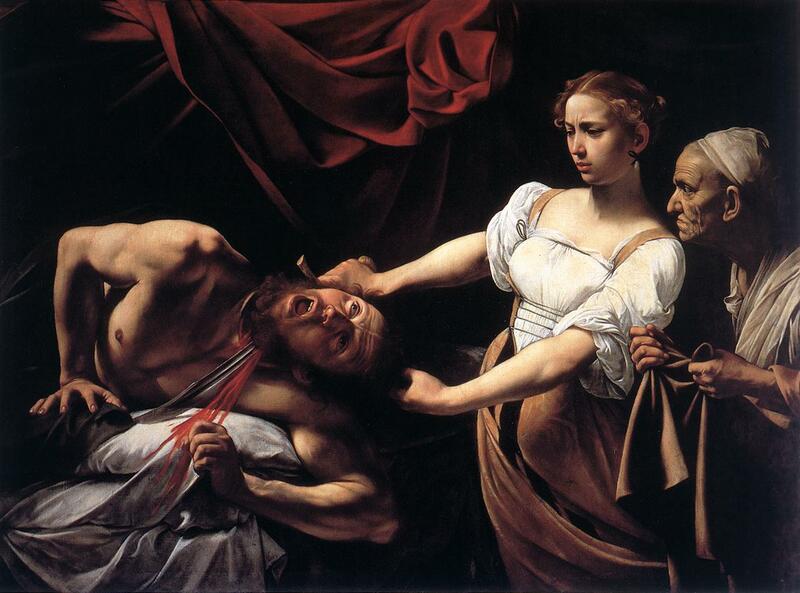 What drew you to the works of Italian painter Michelangelo Merisi da Caravaggio [1571–1610]? And how did those inspirations manifest in the collection? Do you have favorite items within the collection, or do you look at it more as a whole? “There are always things that stand out personally. The things I like, more often than not, are the ones that are the most painful to get right [laughs]. But one of my favorite looks was the navy tabard* [below, center] with a white shirt, and a kind of matelassé pant. I like the simplicity of the garment. It’s a key look, and I think a new proportion. A lot of people have picked up on it in reviews—it’s kind of a heraldic, medieval simplicity, but made modern. Ermenegildo Zegna was founded in 1910 as a high-end fabric supplier. How does that history play into your work today? How else do new innovations play into the collection? How much does your own personal style affect your design process? Missoni, an Italian fashion house founded in 1953, is known far and wide for its innovative experimentation with eye-shocking patterns in wildly varying shades. Sixty years in, the brand is still family-operated, with Angela Missoni serving as menswear designer. (Her daughter, model/heiress/accessories designer Margherita Missoni, offered GQ some salient dating tips earlier this year.) By varying the color and configurations of the brand’s signature stripes, plaids, zigzags and speckles, Angela Missoni’s recent collections can come off as space-age and streamlined (see the current Spring collection) or earthy and ancient—the latter being the case for Fall/Winter 2013, which melds Italian swagger with a palette that reflects the rugged American West: from desolate plains and grand canyons to lush wilderness. Controlled Doses. Sometimes a dab of pattern is all you need—like on a vest layered over your jean jacket, or a statement sweater that stands alone. Click the guy in the middle to see the subtle pattern in his pants, and on the panels under his arms. Pattern on Pattern. It wouldn’t be a Missoni show if some of the looks didn’t go all in. Click the images for closer looks at how color, texture and scale subtly interplay—and make these bold mixes totally work. Get Mono. Black-on-black, camel-on-camel, navy-on-navy. Going monochromatic is subtle and forceful at the same time. Oddball Geometry. Quintessential shapes like crewnecks, bombers and blazers were treated as blank canvases for op-art graphics. Neil Barrett is available at selected Nordstrom stores. The mecca of new menswear, Milan Men’s Fashion Week, commenced over the weekend. Keep it here for recaps of our favorite collections for Fall/Winter 2013. To catch up on last season, click here.